Hanan Dery, a specialist in the emerging field of spintronics, joined the Department of Electrical and Computer Engineering in July, 2007. Previously, he was a postdoctoral associate in Lu Sham's group in the Department of Physics, University of California San Diego (UCSD). During this time, he worked on spintronics, seeking ways to integrate information based on electron spin into semiconductors. Dery earned his PhD in electrical engineering from Technion-Israel Institute of Technology in 2004. His PhD research was in optoelectronic nanostructure devices with a focus on nonlinear gain processes and carreier dynamic properties. In addition to their electric charge, electrons carry an intrinsic angular momentum called spin. Measurement of the spin component along an arbitrary direction shows a binary-valued result associated with a spin-up or a spin-down electron. The measured value, ±ħ/2, reflects the quanta of angular momentum in quantum mechanics where ħ (h-bar) is the celebrated Planck constant. It is therefore natural to use the spin degree of freedom to physically represent ‘0’ and ‘1’ in digital electronics. Researchers conjecture that using spin and charge in the same circuit will allow us to continue packing more and more computational power into smaller and smaller areas. Because charge-based field effect transistors are rapidly approaching their physical limits, the spin-charge computation scheme has recently become an active research frontier. Group IV semiconductors are natural material choices for quantum and classical spintronic devices. Hyperfine interactions are suppressed due to the natural abundance of zero-spin nuclear isotopes. As a result, localized electrons have exceedingly long spin-coherence times at low temperatures. As for conduction electrons, space-inversion symmetry precludes their spin relaxation by the Dyakonov-Perel mechanism. The intrinsic spin lifetime is therefore relatively long, reaching ∼10 ns at room temperature in non-degenerate n-type silicon. Combined with the fact that silicon is the material of choice in the semiconductor industry, there is a wide interest in spin injection into these materials. The observed dependence of spin relaxation on the identity of the donor atom in n-type silicon has remained without explanation for decades and poses a long-standing open question with important consequences for modern spintronics. Taking into account the multivalley nature of the conduction band in silicon and germanium, we have shown that the spin-flip amplitude is dominated by short-range scattering off the central-cell potential of impurities after which the electron is transferred to a valley on a different axis in k-space (see figure below). 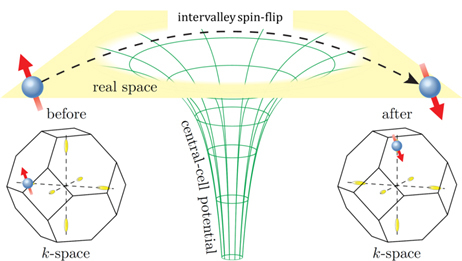 Through symmetry arguments, we have also shown that this spin-flip process can strongly affect the spin relaxation in all multivalley materials in which time-reversal cannot connect distinct valleys. From the physical insights gained from the theory, we provide guidelines to significantly enhance the spin lifetime in semiconductor spintronics devices. For more details, click here. Together with Ian Appelbaum, we have found spin lifetimes in germanium up to several hundreds of nanoseconds at low temperature, far beyond any other available experimental results. The fact that germanium shows longer spin lifetime than silicon is striking, since the common assumption is that heavier elements have stronger “spin-orbit coupling” and thereby should be prone to faster decay of the spin information. In finding that germanium breaks this trend, we also identified a unique spin relaxation mechanism, induced by the combined effects of a directional dependence of spin interacting with a magnetic field, and scattering of electrons between different energy minima states. The results indicate that breaking the germanium crystal symmetry by mechanical strain may lead to similarly long spin lifetime, even in spintronic devices operating at room temperature. For more details, click here. We have derived a Hamiltonian that elucidates the spin properties of conduction electrons in silicon. Applications of the Hamiltonian were used to extract analytical spin relaxation times due to the electron-phonon interaction. For more details, click here. We provided a comprehensive theory of the intrinsic spin relaxation in silicon. For every type of electron-phonon scattering, we express the leading-order spin-flip matrix elements as functions of the electron wave vector, phonon polarization, valley position of the electron, and its spin orientation. For more details, click here. 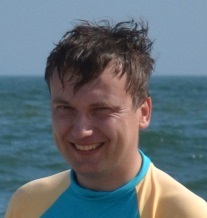 We have repeated the analysis for the case of germanium. We found the spin lifetime in intrinsic bulk germanium is substantially suppressed by application of , reaching a remarkable value of (nearly 1 μs at room temperature (when the spin is oriented along the strain axis). For more details, click here. In collaboration with Ian Applebaum, we have recently showed that high electric fields present in silicon devices can substantially change the dominant physical mechanism of spin relaxation. This behavior is expected to be critically important in the design of devices making use of spins to transmit information, especially when strong static electric fields are required. For more details, click here. In collaboration with our Italian colleagues, Fabio Pezzoli, Giovanni Isella, and Franco Ciccacci, we have recently studied the spin dynamics in Ge quantum wells embedded in SiGe barriers. The energy proximity between the direct-gap optical transition and the indirect energy band-gap in Ge allows us to study the dynamics of both holes and electrons. For more details, click here. Using all of these findings, we have proposed in collaboration with Igor Zutic, a new concept for communication in modern integrated circuits. This scheme may become a viable alternative to conventional metallic interconnects which are becoming a key obstacle in the continued scaling of integrated circuits. In addition to drawbacks of metallic interconnects such as, dynamical crosstalk between wires, RC bottlenecks, and electromigration, these interconnects are also increasingly the main source of energy consumption. To solve these problems we have recently proposed a novel concept for on-chip data communication, shown in the figure below. The idea is to modulate the electrons’ spin polarization of a constant current in wires of group IV materials (Si, Ge, or graphene). The propagation length of the spin information is limited by spin relaxation. In group IV materials, this propagation distance can readily exceed ~1 mm at room temperature and moderate electric fields. Such length scales are already more than sufficient for on-chip interconnects in modern integrating circuits. Most importantly, it offers several of orders increase in the bandwidth per circuit area and a significant reduction in power dissipation compared to what is currently feasible in metallic interconnects. The left figure below shows the spin communication scheme. The current in a strained wire J0 is constant, but mainly governed by a spin-up or spin-down current (Jup, Jdown), depending on the magnetization direction of the transmitter. The magnetization is controlled by the charge-current direction in the W or Pt top-wire (induces a spin-transfer torque into the magnetic Py film by spin-Hall Effect). The receiver splits the current into two paths (right contacts). The detection is “1” or “0” if the current is dominated, respectively, by Jup or Jdown. For more details, click here. An alternative approach to implement the transmitter function can be made by spin pumping. It is illustrated in the right figure above where the constant charge current Jq0 in the Si wire becomes spin-polarized, carrying “1” or “0” depending on the direction of precessing magnetization in the NiFe layer (large central arrow). This magnetization is perturbed bya spin-transfer torque oscillator using the modulated current Jm(t) from the magnetically hard CoFe layers (magnetization pinned in the plane). For more details, click here. The intensive research in 2D membranes produced fundamental discoveries in spin communications, spin Hall effect and quantum spin Hall states. However, these important results were reached by predicting states of matter without carefully considering intrinsic processes such as electron-phonon interactions. To enable optimal usage of 2D membranes where one can maintain steady-state spin or valley polarization, it is imperative to study the limits of spin-transport and phases of matter. Below we provide an elaborate example for the effect of acoustic phonons on the spin transport in graphene. C2 | ↑ › = α | ↑ › and C2 | ↓ › = α* | ↓ › where α2 = -1 and |α|2= + 1. That is, scattering with in-plane acoustic phonons affects mobility, while scattering with out-of-plane phonons affects spin relaxation. This physics bears no special significance in crystals with strong interlayer bonding (between atomic planes parallel to the reflection symmetry planes). On the other hand, this fundamental result leads to important distinction between spin and charge transport if these atomic planes are weakly coupled such as by van der Waals forces (e.g., in graphene). Specifically, the energy cost of long-wavelength atomic displacements in the out of plane direction is rendered ultra-low and leads to superlinear dispersion relation of these so-called flexural phonons, ħΩfp ∝ qη for q→0 where η > 1. The ultra-low energies of flexural phonons lead to their exceptionally large population which in the case of a membrane that respects mirror inversion symmetry enhance spin-flip processes but do not affect the mobility. This decoupling between spin flips and mobility, established by means of robust symmetry arguments, is further enhanced if the membrane does not respect space inversion symmetry. This is the case in monolayer transition-metal dichalcogenides, a unique family of d-orbital semiconductors shown in the figure below, where mirror but not space inversion symmetry is respected. We found that the spin lifetime of electrons in these monolayers can be below 1 ps at room temperature. For more details, click here. dichalcogenides (MoS2, MoSe2, WS2, and WSe2). (b) Typical brillouin zone scheme of primary and satellite valleys in the conduction and valence bands. where ρ = 7.6 x107 kg/m2 is its area mass density and Γ(x) is the gamma function. where τfs ≈ 0.43 ns. The anisotropy between spin relaxation with out-of-plane vs in-plane orientation is 2. This elaborate example on the surprisingly short spin lifetime in free-standing graphene (where charge mobility is the largest) demonstrates the crucial need for correct transport description in 2D membranes. 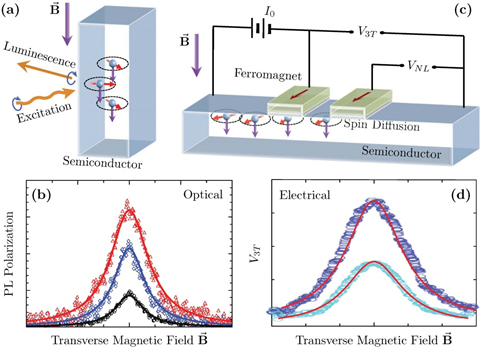 Modern-day electrical spin injection experiments are often akin to the classical optical orientation experiment in which the spin polarization in a nonmagnetic material is measured via the optical Hanle effect. In the optical case, shown below, angular momentum is transferred from circularly polarized photons to the spins of charge carriers. The decay of the net spin polarization (S) is controlled by a transverse magnetic field due to its induced torque: ∂S / ∂t =ΩB x S where ΩB = gμBB/ħ is the field-induced Larmor precession frequency. In zero field, the measured circular polarization of the photoluminescence follows P0 = S0/(1 + τs/τr) where S0 is the injected spin polarization, τs is the spin relaxation time, and τr is the recombination lifetime. The dephasing in a transverse magnetic field is enhanced according to PB = P0/(1+ ). The figure below illustrates the reduction in the measured circular polarization. The width at half maximum of this Lorentzian peak is directly related to the spin relaxation time. Analogously to optical orientation, the right side of the figure shows the all-electrical Hanle version of this spin injection experiment where a constant current I0 facilitates spin injection into the semiconductor from the ferromagnetic lead. The spin accumulation in the semiconductor gradually reduces to zero with increasing the amplitude of the transverse magnetic field due to the Larmor precession of the injected electrons. The corresponding difference in chemical potentials of spin-up and spin-down populations can then be measured as the voltage change VNL in a four-terminal nonlocal setup geometry, or V3T in a three-terminal (3T) local setup geometry. Typical signal profiles are shown in the figure. Since the spin diffusion lengths of many nonmagnetic materials are in the 1~μm range, a submicron separation between the injector and detector electrodes in the nonlocal setup improves the measured signal due to weaker depolarization of electrons that diffuse to the detector electrode. To mitigate the difficulty of fabricating submicron features, the 3T local setup makes use of a single ferromagnetic-insulator-nonmagnetic junction for both injection and detection of spin-polarized currents. This 3T local setup gained popularity mainly because it is a relatively easy experiment. (a)-(b) The optical Hanle effect. (c)-(d) The electrical Hanle effect. The standard theory of spin diffusion and relaxation cannot explain the electrical-Hanle signals in many of the recent devices that employ the local 3T measurement setup. First, the measured voltage signal is too large to be the difference in chemical potentials of spin-up and spin-down populations. Second, the width of the Lorentzian-shaped signal, shown in the figure above, reflects electron spin relaxation that is much faster than that expected from theory or from previously established electron paramagnetic resonance (EPR). Finally, these measurements extract comparable timescales for spin relaxation of holes in p-type Si (or Ge) and electrons in n-type Si (or Ge). This finding contradicts well established results: τs of conduction electrons in typical semiconductors is much longer than that of holes which is usually comparable to the momentum relaxation time. This rule is valid for all known unstrained bulk sp3 semiconductors with diamond, zincblende and wurtzite crystal structures (e.g., Si, GaAs, and ZnO), where the spin-orbit coupling is the only interaction that can lift the three-fold band degeneracy at the top of the valence band. To understand the puzzling results observed in 3T devices we note that the voltage drop across the tunnel junction enables impurity-assisted tunneling, thereby affecting the detected signal. Supported by the fact that impurities are ubiquitously found in oxide tunnel barriers and in semicondcutor/oxide interfaces, impurity-assisted tunneling in the 3T setup can explain the perplexing weak dependence of the measured widths and amplitudes of the Lorentzian-shaped electrical signals on the identity of the nonmagnetic material . 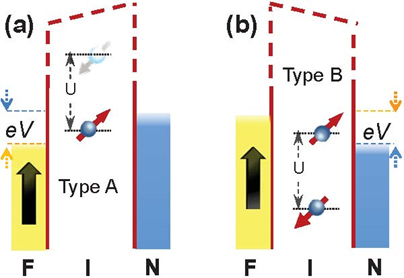 Since insulating layers are often inserted between ferromagnetic metals and semiconductors for obtaining efficient spin injection, it is crucial to have a theory that distinguishes between signatures of impurities in the tunnel barrier and genuine electrical spin injection to the nonmagnetic material. Recently, we achieved significant progress in explaining these 3T experiments. We developed a theory showing a universal MR due to Coulomb correlations and spin interactions at the impurity site during resonant tunneling in ferromagnetic-insulator-nonmagnetic (F-I-N) junctions. The MR effect arises due to impurities with large on-site Coulomb repulsion compared with the applied voltage bias (U >> eV). We classify these impurities into type-A and type-B, such that the resonance energy for single (double) electron occupancy in a type-A (type-B) impurity is within the bias window. The left part of the figure below shows an example for resonance tunneling via type-A impurity in spin extraction conditions (electrons flow into F). Here electrons tunnel from N into the impurity and have equal probability to be parallel or antiparallel to the spin orientation of the majority spin in F. The tunnel conductance becomes smaller once an electron with antiparallel spin settles in the impurity since F is reluctant to accept this electron. The channel is completely blocked when F is half-metallic. The right part of the figure shows a respective example for resonance tunneling via type-B impurity in spin injection conditions (electrons flow from F). We see that once the lower impurity level is filled with an electron from the majority population of F, the upper resonant level can only accept the electron of opposite spin which F is reluctant to provide. In a large out-of-plane field, the blockade is lifted in both cases (extraction/injection via type A/B impurity) due to depolarization of the impurity spin (Larmor precession). Click here to read more on how the resonance tunneling through these impurities is affected by the magnetic field. A clear reinforcement of the theory is found in our recent collaboration with the experimental group of Felix Casanova, where we have also extended this theory to nonmagnetic-insulator-nonmagnetic (N-I-N) junctions with highly disordered tunnel barriers (where transport is governed by hopping over impurity chains). We demonstrated, both experimentally and theoretically, that one gets similar Lorentzian-shaped MR effects in F-I-N and N-I-N junctions. Panel a shows a scheme of the 3T device. The junction area (w1 x w2) is ~ 300x300 μm2. Panels b and c show the MR effect, δR(B)=[V(B)-V(0)]/I, measured in a 3T configuration with F-I-N and N-I-N junctions made of Py- AlOx-Al and Al-AlOx-Al, respectively. We have used the Glazman-Matveev theory of hopping-assisted tunneling through disordered barriers in order to extract the power-law relations in the I-V curves from which we can extract the common number of impurities involved in a single tunneling act. Applying the analysis to our experimental I-V curves of the N-I-N device we realized that the dominant tunneling mechanism involves two impurities. Panel d shows a scheme of tunneling via two impurity atoms (A and B) in a N-I-N junction. When electrons tunnel in the direction from A to B, this chain enables on (off) switching of the current in small (large) external magnetic fields. Specifically, once an electron tunnels from the left bank into the type-A impurity, it can be intuitively viewed as an ideal polarized source. Due to Pauli blocking, this electron cannot hop to the second level of the type-B impurity if the first level of the latter is filled with an electron of similar spin. The steady-state current across the chain is therefore blocked. This blockade is removed when spin interactions (e.g., hyperfine or exchange) randomize the spin configuration in the A and B sites. The magnetic field dependence is understood as follows. When the external field is much larger than the internal hyperfine or exchange fields, the type-A and type-B impurities in the chain are affected by almost the same fields so that essentially the spins remain aligned in steady state, and the current is Pauli-blocked. In the opposite extreme of negligible external field, the blockade is not reached at the steady state due to spin precession about internal fields that are likely to point in different directions on the A and B sites. This behavior is illustrated by panel e of the Figure. We emphasize that, details aside, the underlying physics of the MR effect is the same in both F-I-N and N-I-N junctions. As mentioned in the case of a F-I-N junction, the MR is already established by resonance tunneling via a single impurity with large onsite Coulomb repulsion. One impurity is enough because F polarizes the incoming/outgoing current to/from the impurity site in injection/extraction conditions. This polarized tunnel current in F-I-N junctions facilitates partial blocking of the impurity-assisted current already without an external field. This effect gives rise to the anisotropy of the MR signal where a parallel (perpendicular) magnetic field with respect to the magnetization of F reinforces (lifts) the current blockade. In N-I-N junctions, on the other hand, the electrodes are unpolarized and one can use the external field only to reinforce the current blockade across impurity chains with at least one A-B sequence. The one requirement is to apply a magnetic field that, irrespective of its orientation, outweighs the internal field. This theory explains the isotropic MR effect in N-I-N junctions for in-plane and out-of-plane fields. To read more, click here. In a research project, we have established a theory that provides concise relations between the degrees of spin polarization and measured circular polarization for each of the dominant phonon-assisted optical transitions. This theory provides a parameter-free method to accurately determine the degree of spin polarization of electrons in spintronics silicon and germanium devices. Introduction to the topic: Consider for example the luminescence of free carriers in bulk silicon. It involves transitions between electrons from the six equivalent conduction band valleys along the ±X, ±Y, ±Z crystallographic directions and heavy or light holes at the top of the valence band. Because of the crystal translational symmetry and the indirect absorption edge, phonon emission or absorption is required to offset a crystal momentum difference of 0.85x(2Π/a) where a is the lattice constant of silicon (5.43 Å). In silicon, the most intense phonon-assisted luminescence peak is due to a process that involves transverse-optical (TO) phonons (whereas longitudinal-acoustic (LA) phonons are completely negligible). Similarly, germanium shares the indirect bandgap property, while the four conduction band valleys are located around the L-points at the Brillouin zone edge. 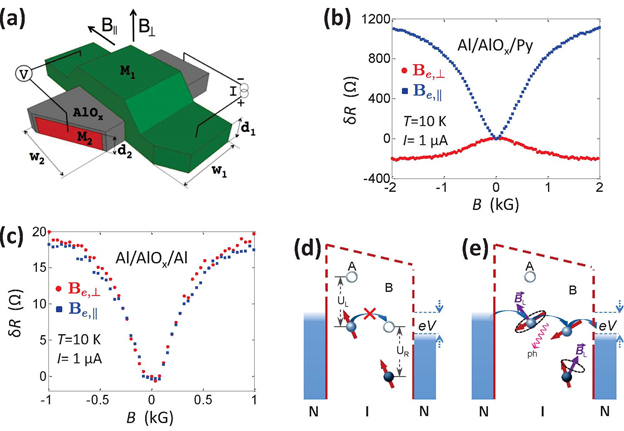 Optical transition between band edge involve phonons with crystal momentum of 2Π/a. The proximity of the indirect bandgap and the zone center direct bandgap renders LA phonons-assisted transition to be dominant. In semiconductors, the circular polarization degree of luminescence is largely set by the effect of spin-orbit coupling on the angular-momentum quantum numbers in the valence band. One can then use strain as a valuable experimental knob to regulate and validate the relation between the measured circular polarization degree and the spin polarization of carriers. In the multivalley systems of silicon and germanium, the applied strain lifts the energy degeneracy in the edge of the conduction band, and more importantly, of the valence band. It controls not only the energy spacing but also the mixing between hole species. By knowing the strain-induced hole mixing in each of the split valence bands, one can ascertain the spin polarization from the measured circular polarization degree. The figure below provides intensity ratios between left and right circularly polarized luminescence in silicon, for each of the possible single phonon-assisted luminescence peaks in case of complete spin polarization (all electrons are spin-up polarized). The contributions of radiative-recombination with heavy holes (HH) and light holes (LH) are indicated by numbers of orange and light-blue colors, respectively. We note that if electrons reside in longitudinal or transverse valleys (with respect to the propagation direction of the detected luminescence) then the resulting ratio between left and right circularly polarized luminescence is different. Take the TA or TO modes as an example, the total ratio is (3+13):(27+5)=1:2 for the luminescence from transverse valleys whereas it is (0+32):(0+32)=2:2 from longitudinal valleys. Upon summation of the all four transverse and two longitudinal valleys one gets that ratio is 2:3 for transverse phonon peaks, and 3:5 for longitudinal-acoustic and 5:3 for longitudinal-optical phonon-assisted luminescence peaks. That is, the measured circularity should be -20%, -25% and 25% for the respective ratios (2:3, 3:5 and 5:3) if all electrons are spin-up polarized. If strain with certain configuration is applied on the bulk silicon sample, these values could be exaggerated. For example, under biaxial compressive strain along the light propagation direction, the 4 transverse valleys are lowered while HH are raised, then the possible TA(TO)-assisted transition yields a ratio of 3:27, amplifying the circularity from -20% to -80%. By comparing these theoretical circularity values of complete spin polarization with measured values; one can directly infer the spin polarization in a spin-based silicon device. The theory is also instrumental in extracting the spin relaxation time or the spin injection efficiency across ferromagnet-silicon interfaces. Our other findings are that the antipodal behavior optical-phonon assisted transitions (LO and TO assisted transitions give rise to opposite circular polarization of the luminescence), explains the measured differences in the circular polarization of the luminescence peaks in spin polarized silicon. The LO and TO phonons are nearly degenerate in energy and therefore their associated luminescence peaks cannot be distinguished (unless studied in intrinsic silicon at very low temperatures). Therefore, the circular polarization degree of photons from the dominant luminescence peak is contributed by both LO and TO assisted transitions. Taking into account the opposite circular polarization of these two cases (-20% versus +25% if all electrons are spin-up polarized) and also considering the dominancy of transverse-phonon assisted transitions (nearly an order of magnitude larger) then the circular polarization degree of these photons is reduced compared with the circular polarization degree of slightly more energetic photons that are emitted via transverse-acoustic (TA) phonon-assisted transitions. We also found that doping affects both the shape and polarization of the spectrum. The circularity at the luminescence peaks of p-type silicon are largely suppressed in heavily doped p-type silicon due to spin mixing of hole-states in the valence band. The theory of luminescence from spin polarized silicon, click here. The theory of spin-dependent luminescence from strained Si and Ge, click here. Experiment-Theory on luminescence from spin polarized Ge quantum wells , click here. Experiment on luminescence from spin polarized silicon, click here. Experiment on luminescence from spin polarized germanium, click here. To ease the integration of the spin degree of freedom into semiconductor electronics circuits by enabling spintronics without magnetic fields. The structure shown below makes use of spin-dependent resonance tunneling to determine the spin polarization in a semiconductor channel. When electrons flow to the ferromagnet (forward bias), two peaks appear in the current-voltage (I-V) curve of such a structure. The first peak is due to a typical behavior in resonant tunneling diodes. The second peak is due to resonance conditions between localized states caused by inhomogeneous doping. The spin polarization of the current has opposite sign in the two peaks. In such a scheme, the bias controls the magnitude and sign of the spin current. For more details about the bias controlled spin junction, click here. The spin-switch shown below makes use of the electron's charge and spin. The gate regulates the net charge in the semiconductor by depleting the free electrons. The ferromagnet filters a certain spin component depending on the bias of the gate. The switch structure is closely related to the double-gate CMOS technology. The bias of the gate replaces the role of the induced magnetic field generated by high-current wires on top of ferromagnetic contacts (as in MRAM technologies) . The ability to tune the charge density over orders of magnitudes is what makes semiconductors indispensable in electronics. CMOS switches, p-n junctions and bipolar transistors rely on this feature. The natural ordered spin state of ferromagnets is the backbone of non-volatile storage applications in computers hard drives. An inhomogeneous doped semiconductor is sandwiched between a biased ferromagnet and a non-magnetic gate. The spin polarity in the semiconductor region outside the sandwiched structure may be controlled solely by the gate voltage. Electrons in the semiconductor drift in the y direction until they are redirected into the ferromagnet (VF>0). These electrons do not necessarily originate from a spin-polarized source (this source is the zero bias reference). The current path does not involve the gate due to the resistive insulator. If the doping profile is appropriately designed, then the gate controls the mechanism by which the ferromagnet extracts electrons from the semiconductor. There are two different mechanisms which favor extraction of opposite spin species. For more details about the gate controlled spin switch, click here. To combine ferromagnetism with semiconductor properties in electronics circuits. An intriguing application is spin-based logic gate (shown below). Basically, a spintronic device encodes information using the charge of the electrons, as well as their magnetic, or spin, states. 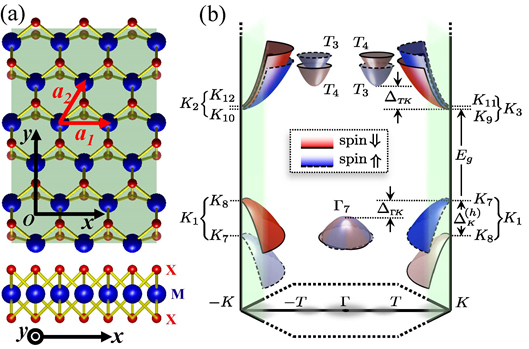 A key to successful spintronics is to overcome the weakness of spin-based signals, something that Dery and his associates (Lu J. Sham, P. Dalal, and L. Cywinski) have been able to do. The inputs are the magnetization direction of the ferromagnetic leads labeled by A, B, C and D. Steady-state currents, driven by Vdd, flow between A(B) and C(D). The output is given by a digital transient current response, IM(t), caused by perturbing the middle contact (full rotation of its magnetization). The general Boolean expression of the gate is: OR( XOR(A,X) , XOR(B,Y) ). '0' and '1' are defined, respectively, by outward or inward magnetization directions. One may use the directions of A and B to set the gate operation and the directions of X and Y as the logic function operands. As an example, a universal NAND operation between X and Y is realized by setting outward magnetization (logic 1) in A and B: NAND(X,Y) = OR( XOR(A=1,X) , XOR(B=1,Y) ) . This magneto-logic-gate is equivalent in logical complexity to a network of 28 CMOS transistors. In order to write the information into the magnetic contacts A,B,X and Y as well as to perturbed the middle contact (M), one can employ magnetic random access memory (MRAM) techniques or spin-torque transfer (STT) techniques. The former can be done by placing current wires on top/bottom of the logic gate to induce local magnetic fields as in MRAMs. The latter can be done by depositing extra ferromagnetic layer on top of the shown five contacts. To build a spin-based computer from these gates, we need a method to cascade and synchronize the logic operations. In the link below we present the first paradigm of a spin-based finite state machine from which one may build any electronics circuit: a simple arithmetic adder or a CPU. It includes a detailed discussion about the technological promise of a spin computer in comparison with high-end CMOS circuits. For more details about the spin computer, click here. Using graphene-based magneto-logic gates, we have presented a seamless integration of spin-based memory and logic circuits. We use network search engines as a technology demonstration vehicle and simulate a high-speed, small-area, and low-power spin-based circuit. The figure below shows how a building-block cell can be integrated in a circuit using metallic wires to write the magnetic information and a match line to collect the transient current. This paradigm allows fast electronics without fan-out, overshoot, undershoot, ringing, etc. In addition, this type of device is expected to be highly scalable and have greater computational capacity than silicon circuits in use today. For more details, click here. The structure consists of a semiconductor channel covered by three ferromagnetic terminals. The magnetization directions in the outer contacts are for storing the information and the middle contact is used to read the information (during the perturbation of its magnetization). The bias (Vdd) sets the needed spin accumulation in the semiconductor channel for the readout operation. The amplitude and pattern of the transient readout current signals (across the capacitor) are used to clearly identify the noncollinear magnetization configuration. Consider, for example, that in each contact there are two mutually perpendicular easy axes, determined by the semiconductor crystal orientation and by the thickness and shape of the ferromagnetic contact. This allows storing four bits of information in a 3-terminal device which can work at the speed of SRAM but at the size of DRAM. For comparison, in SRAM it takes 6 (three-terminal) transistors to represent one bit. Our dynamical method can be used in spintronics devices for storage beyond the binary limit. For more details about the spin-based transport in such devices, click here. Detecting of helicity of a circularly polarized light plays an important role in different applications (e.g. ; in testing of chiral drugs). In addition, light polarization holds potential to increase the information capacity of broadband optical telecommunication applications. The momentum alignment and spin-momentum correlation of photoexcited electrons possess intriguing symmetries due to the crystal structure and the spin-orbit interaction in bulk semiconductors. Their detection, however, is elusive due to the ultrafast momentum scattering time (typically <1 ps). The figure below shows the discussed momentum and momentum-spin symmetries for electrons following transitions with heavy-holes due to excitation by a circularly polarized light 0.2 eV above the band-gap in GaAs. Conservation of angular momentum dictates that the net spin direction of all electrons is set by the photon angular momentum, p, which is parallel (anti-parallel) to the propagation direction of a right-hand (left-hand) circularly polarized light. Panel (a) shows a 3D wavevector distribution of the photoexcited electron. The motion of most electrons is along the light propagation axis. Panel (b) shows the spin distribution of these electrons. Note that the spin of an electron is collinear with the wavevector direction of the electron. Panel (c) shows a 2D cross section of the momentum alignment and spin-momentum correlations (constructed from panels (a) & (b)). The length of an arrow from the center represents the relative population of excited electrons with momentum along the arrow's direction. The thick short arrows on the edge line represent the correlated spin directions. The photon angular momentum is along the propagation direction (p). The figure below shows the respective case for electrons following transitions with light-holes. The motion of most electrons is transverse to the light propagation axis (in the plane of the light polarization vector). The spin and wavevector of an electron are collinear only along the light propagation axis. In a recent project, we have used reflection to capture the alignment and correlation symmetries prior to their ultrafast momentum scattering. For more details, click here. In what aspect a spin-based device is better than existing optical detectors? A spin-based system, as illustrated in the figure, enables the detection of light helicity without the need of external or integrated optical elements (waveguides, cavities, beam-splitters, mirrors). The circular polarization is detected electronically merely by the absorption of light in a simple device. A circularly polarized light beam comes from above or below the structure. The helicity may be determined by the spin direction of photoexcited electrons in the semiconductor. The connection between spin orientation and light polarization is given by conservation of angular momentum. The polarized beam excites spin polarized electrons and holes below the stack. The electrons and holes are separated by the p-n junction. The electrons are swept upwards toward the gate and the electrodes. The photocurrent is split through two ferromagnets of opposite magnetizations. The different magnitudes of the split currents (JR-JL) depend on the polarization of the exciting beam; that is whether the photoexcited electron spins are parallel or anti-parallel to the magnets. For more details about the spin-based detector, click here. 2011-2015 NSF (DMR-1124601) and NRI (Nano-Electronics and Beyond 2020), Developing a Graphene Spin Computer: Materials, Nano-Devices, Modeling, and Circuits. 2011-2012 Wilmot Fellowship, University of Rochester. 2009-2012 AFOSR (FA9550-09-1-0493), Controlling Magnetic and Optical Response for Spin-Based Information Transfer. 2008-2011 NSF (ECCS-0824075), Semiconductor spintronics devices and circuits. Y. Song, O. Chalaev, and H. Dery, Donor-driven spin relaxation in multivalley semiconductors, Phys. Rev. Lett. 113, 167201 (2014). O. Txoperena, Y. 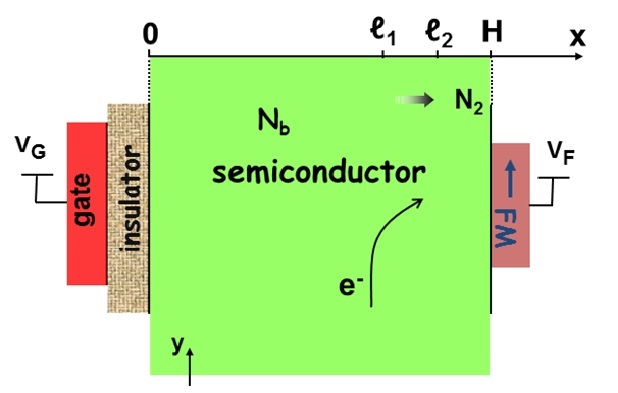 Song, L. Qing, M. Gobbi, L. E. Hueso, H. Dery, and F. Casanova, Universal impurity-assisted tunneling magnetoresistance under s weak magnetic field, Phys. Rev. Lett. 113, 146601 (2014). Y. Song and H. Dery, Magnetic Field Modulated Resonant Tunneling in Ferromagnetic-Insulator-Nonmagnetic junctions, Phys. Rev. Lett. 113, 047205 (2014). P. Li, J. Li, L. Qing, H. Dery, and I. Appelbaum, Anisotropy-Driven Spin Relaxation in Germanium, Phys. Rev. Lett. 111, 257204 (2013). T. Cheiwchanchamnangij, W. R. L. Lambrecht, Y. Song, and H. Dery, Strain effects on the spin-orbit induced band structure splittings in monolayer MoS2 and graphene, Phys. Rev. B 88, 155404 (2013). F. Pezzoli, L. Qing, A. Giorgioni, G. Isella, E. Grilli, M. Guzzi, and H. Dery, Spin and energy relaxation in germanium studied by spin-polarized direct-gap photoluminescence, Phys. Rev. B 88, 045204 (2013). Y. Song and H. Dery, Symmetry-based transport theory of monolayer transition-metal dichalcogenides, Phys. Rev. Lett. 111, 026601 (2013). P. Li, D. Trivedi and H. Dery, Spin-dependent optical properties in strained silicon and germanium, Phys. Rev. B 87, 115203 (2013). P. Li, Yang Song, and H. Dery, Intrinsic spin lifetime of conduction electrons in germanium, Phys. Rev. B 86, 085202 (2012). Yang Song and H. Dery, Analysis of phonon-induced spin relaxation processes in silicon, Phys. Rev. B 86, 085201 (2012). F. Pezzoli, F. Bottegoni, D. Trivedi, F. Ciccacci, A. Giorgioni, P. Li, S. Cecchi, E. Grilli, Y. Song, M. Guzzi, H. Dery, and G. Isella, Optical spin injection and spin lifetme in Ge heterostructures, Phys. Rev. Lett. 108, 156603 (2012). J. Li, L. Qing, H. Dery, and I. Appelbaum, Field-induced negative differential spin lifetime in silicon, Phys. Rev .Lett.108, 157201 (2012). H. Dery, H. Wu, B. Ciftcioglu, M. Huang, Y. Song, R. Kawakami, J. Shi, I. Krivorotov, I. Zutic, and L. J. Sham, Nano Spintronics based on Magneto-Logic Gates, IEEE Trans. Electron Devices 59, 259 (2012). P. Li and H. Dery, Spin-orbit symmetries of conduction electrons in silicon, Phys. Rev. Lett. 107, 107203 (2011). L. Qing, Y. Song, and H. Dery, Proximity effects of a symmetry-breaking interface on spins of photoexcited electrons, Phys. Rev. Lett. 107, 107202 (2011). I. Zutic and H. Dery, Taming spin currents, Nature Materials 10, 647 (2011). H. Dery, Y. Song, P. Li and I. Zutic, Silicon spin communication, Appl. Phys. Lett. 99, 082502 (2011). P. Li and H. Dery, Theory of spin-dependent phonon-assisted optical transitions in silicon, Phys. Rev. Lett. 105, 037204 (2010)..
Y. Song and H. Dery, Spin transport theory in ferromagnet/semiconductor systems with noncollinear magnetization configurations, Phys. Rev. B 81, 045321 (2010). P. Li and H. Dery, Tunable spin junction, Appl. Phys. Lett. 94, 192108 (2009)..
H. Dery, P. Dalal, L. Cywinski, and L. J. Sham, Spin based logic in semiconductors for reconfigurable large scale circuits, Nature 447, 573-576 (2007). H. Dery and L. J. Sham, Spin extraction theory and its relevance to spintronics, Phys. Rev. Lett. 98, 046602 (2007). H. Dery, L. Cywinski and L. J. Sham, Spintronics for electrical measurement of light polarization, J. Appl. Phys. 100, 063713 (2006). H. Dery, L. Cywinski and L. J. Sham, Spin transference and magnetoresistance amplification in a transistor, Phys. Rev. B 73, 161307R (2006). H. Dery, L. Cywinski and L. J. Sham, Lateral diffusive spin transport in layered structures, Phys. Rev. B 73, 041306R (2006). H. Dery and G. Eisenstein, The impact of energy band diagram and inhomogeneous broadening on the optical differential gain in nanostructure lasers, IEEE J. Quantum Electron. 41, 26 (2005). H. Dery, E. Benisty, A. Epstein, R. Alizon, V.Mikhelashvili, G. Eisenstein, R. Schwertberger, D. Golg, J. P. Reithmaier and A. Forchel, On the nature of quantum dash structures, J. Appl. Phys. 95, 6103 (2004). H. Dery and G. Eisenstein, Self-consistent rate equations of self-assembly quantum wire lasers, IEEE J. Quantum Electron. 40, 1398 (2004). H. Dery, B. Tromborg and G. Eisenstein, Carrier-carrier relaxation kinetics in quantum well semiconductor structures with non-parabolic energy bands, Phys. Rev. B 68, 165323 (2003). H. Dery, B. Tromborg and G. Eisenstein, Relaxation of a kinetic hole due to carrier-carrier scattering in multisubband single-quantum-well semiconductors, Phys. Rev. B 67, 245308 (2003). L. Cywinski, H. Dery, P. Dalal, and L. J. Sham, Electrical expression of spin accumulation in Ferromagnet/Semiconductor structures, Mod. Phys. Lett. B 21, 1509 (2007). (invited Review). L. Cywinski, H. Dery and L. J. Sham, Electric readout of magnetization dynamics in a ferromagnet-semiconductor system, Appl. Phys. Lett. 89, 042105 (2006). D. Fekete, H. Dery, A. Rudra and E. Kapon, Temperature dependence of the coupling between n-type ?-doping region and quantum dot assemblies, J. Appl. Phys. 99, 034304 (2006). J. P. Reithmaier, A. Somers, W. Kaiser, S. Deubert, F. Gerscutz, A. Forchel, O. Parillaud, M. Krakowski, R. Alizon, D. Hadass, A. Bilenca, H. Dery, V. Mikhelashvili, G. Eisenstein, M. Gioannini, I. Montrosset, T. W. Berg, M. van der Poel, J. Mark and B. Tromborg, Semiconductor quantum dots devices: Recent advances and application prospects, Phys. Stat. Sol. (b), 243, 3981 (2006). D. Hadass, A. Bilenca, R. Alizon, H. Dery, V. Mikhelashvili, G. Eisenstein, R. Schwertberger, A. Somers, J. P. Reithmaier, A. Forchel, M. Calligaro, S. Bansropun and M. Krakowski, Gain and Noise Saturation of Wide-Band InAsInP Quantum Dash Optical Amplifiers: Model and Experiments, IEEE J. Sel. Topics Quantum Electron. 11, 1015 (2005). J. P. Reithmaier, A. Somers, S. Deubert, W. Kaiser, A. Forchel, M. Calligaro, P. Resneau, O. Parillaud, S. Bansropun, M. Krakowski, R. Alizon, D. Hadass, A. Bilenca, H. Dery, V. Mikhelashvili, G. Eisenstein, M. Gionnini, I. Montrosset, T.W. 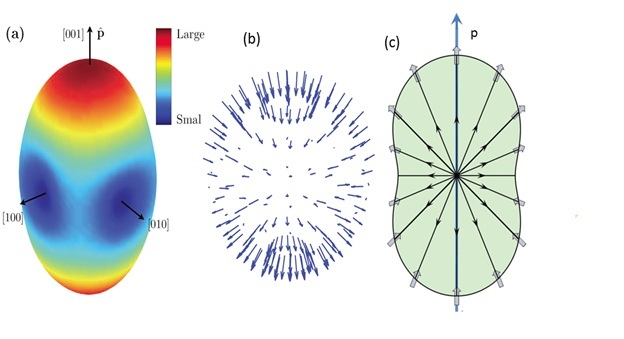 Berg, M. van der Poel, J. Mork and B. Tromborg, InP Based Lasers and Optical Amplifiers With Wire-/Dot-Like Active Regions, J. of Physics D, 38, 2088 (2005), (invited review). D. Hadass, R. Alizon, H. Dery, V. Mikhelashvili, G. Eisenstein, R. Schwertberger, A. Somers, J. P. Reithmaier, A. Forchel, M. Calligaro, S. Bansropun and M. Krakowski, Spectrally resolved dynamics of inhomogeneously broadened gain in InAs/InP 1550 nm quantum-dash laser, Appl. Phys. Lett. 85, 5505 (2004). 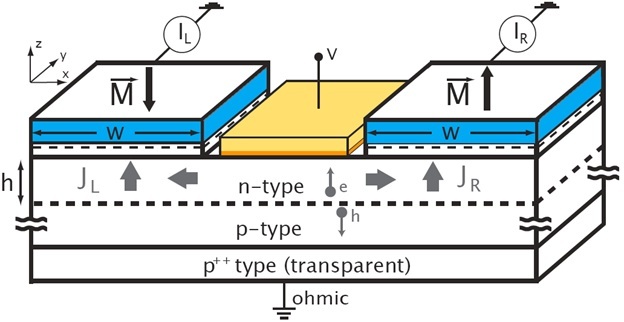 G. Eisenstein, R. Alizon, H. Dery, A. Bilenca, V. Mikhelashvili, R. Schwertberger, J.P. Reithmaier and A. Forchel, Characteristics of 1.5 micron InAs/InP Quantum Dash Optical Amplifiers, in the proceedings of Amplifiers and Their Applications (Trends in Optics and Photonics) 92, 135 (2003). (invited paper). R. Alizon, A. Bilenca, H. Dery, V.Mikhelashvili, G. Eisenstein, R. Schwertberger, D. Golg, J. P. Reithmaier and A. Forchel, Cross-gain modulation in inhomogeneously broadened gain spectra of InP-Based 1550 nm quantum dash optical amplifiers: Small-signal bandwidth dependence on wavelength detuning, Appl. Phys. Lett. 82, 4660 (2003).